There is a growing commitment within the single and multifamily markets to building green, but the level of green building and drivers differ between the two, a new study says. The report, Green Multifamily and Single Family Homes 2017 SmartMarket Brief, also demonstrates the rising use of renewables and the growing interest among single-family builders in net-zero homes. 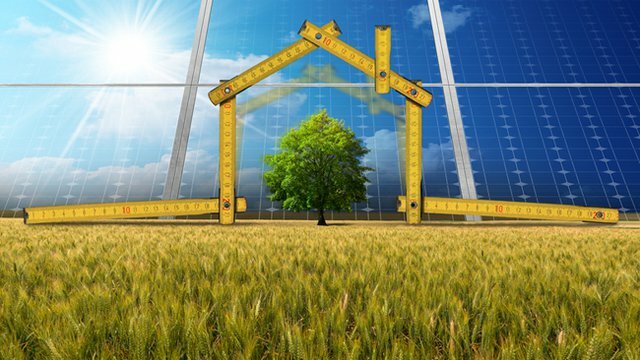 One third of single family builders (33 percent) are building more than 60 percent of their homes green, the study by Dodge Data and Analytics and the National Association of Home Builders (NAHB). This demonstrates the prevalence of green homes in the current single-family market, researchers found. The availability and affordability of green products has been and continues to be a strong driver for growth in the level of green-building involvement among single family builders, second only to customer demand. And the study indicates that many who are not building green at this level still anticipate doing so, with 44 percent expecting to build more than 60 percent of their home projects green by 2022. Even more striking is the percentage of builders dedicated green builders (doing more than 90 percent of their projects green). That percentage is currently 19 percent, and by 2022, nearly one third (31 percent) expect to be dedicated green builders. There is also an interesting shift in the makeup of those dedicated green builders. Currently, a significantly higher percentage of small builders (those doing less than 10 homes annually) are dedicated green builders than large builders (those doing 25 or more homes annually). However, by 2022, nearly the same percentage of small (32 percent) and large (31 percent) of builders expect to be dedicated green builders. This will dramatically expand the numbers of green homes built, and by extension, the need for green building products and workers for the home building market. The pattern is similar but not the same among multifamily builders. Unlike the single-family builders, who have seen a gradual increase in their level of green involvement from study to study, there is a dramatic change in the percentage of multifamily builders doing more than 60 percent of their projects green. In 2014, the last time multifamily green building involvement was measured by Dodge, 23 percent were involved with green building at that level, and the majority of them were not dedicated green builders. By 2017, more than one third (36 percent) are now building more than 60 percent of their projects green, and more importantly, the vast majority of them are dedicated green builders. Their estimates for 2022 demonstrate the growing commitment to green among multifamily builders. Almost half (47 percent) are planning to be doing more than 60 percent of their projects green, and more than 80 percent of them will be dedicated green builders. Customer demand is a critical driver for green building among multifamily builders, but government or utility incentives and changes in codes, ordinances and regulations are also very important for this group. Multifamily builders also have different priorities for green building than single family builders. While nearly all single family and multifamily builders rank energy efficiency among the top practices for building green, and while a high percentage of both also consider healthy indoor living environments important, they differ on the importance of other practices. Single family builders place greater weight on being durable and resilient, and multifamily builders are more likely to prioritize water efficiency. Nearly one quarter of single family builders (23 percent) reported using solar photovoltaics (PV) on their projects in 2016, and even more multifamily builders (27 percent) reported doing so. Among single family builders, this places the use of solar PV nearly at the level of ground source heat exchange (25 percent), and it makes solar PV by far the most widely used renewable technology currently among multifamily builders. That pattern continues in anticipated use in just two years, with nearly half of single family home builders expecting to use ground source heat exchange (45 percent) and solar PV (43 percent) and more than half of multifamily builders (54 percent) expecting to use solar PV. The growth in renewables has helped support an increasing level of engagement with net zero homes among single family builders. In the study Dodge conducted in 2015, 21 percent of home builders reported that they had built at least one net zero home, and in just two years, by 2017, 29 percent report having done so. By 2019, 44 percent of home builders expect to build a net zero home, demonstrating the expectation that this is a growing segment of the residential market, if still a small one at this point. Most report that more customer demand will be a critical driver for them to build net zero homes in the next few years, along with gaining a competitive advantage and the availability of less expensive renewable technologies.